Thursday, 13 September 2018. 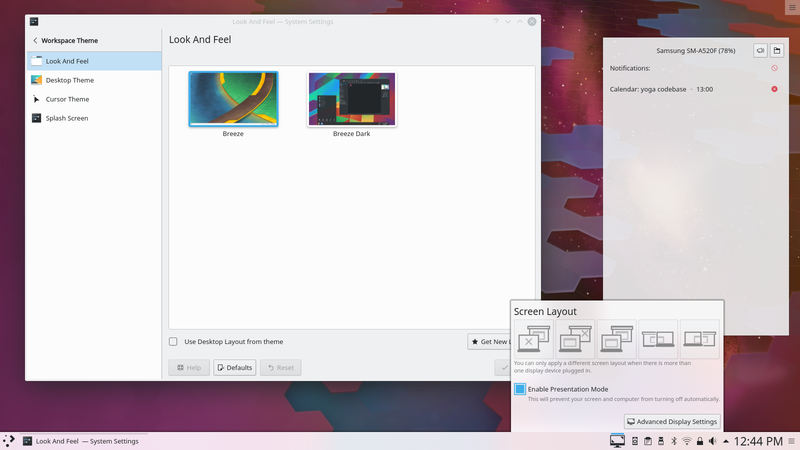 Today KDE launches the beta release of Plasma 5.14. We have added numerous minor user interface improvements: update button are disabled while checking for updates, there is visual consistency between settings and the update pages, updates are sorted by completion percentage, we have improved the review section of the update notifier plasmoid, etc..
Hi, can we set Discover/Muon to automatically update, in background? Great news. Thanks work community. Just note typo of article, the first image is not centered on and erase left blocks (maybe my screen 13.3). Glad to see so many new features in Plasma. The Breeze widget and improved compatibility with Libre Office deserve particular attention while switching between monitors also looks interesting. With that, I didn't quite understand the VPN feature. Can it fully replace VPN services (for example reviewed here) and offer the same functionality?